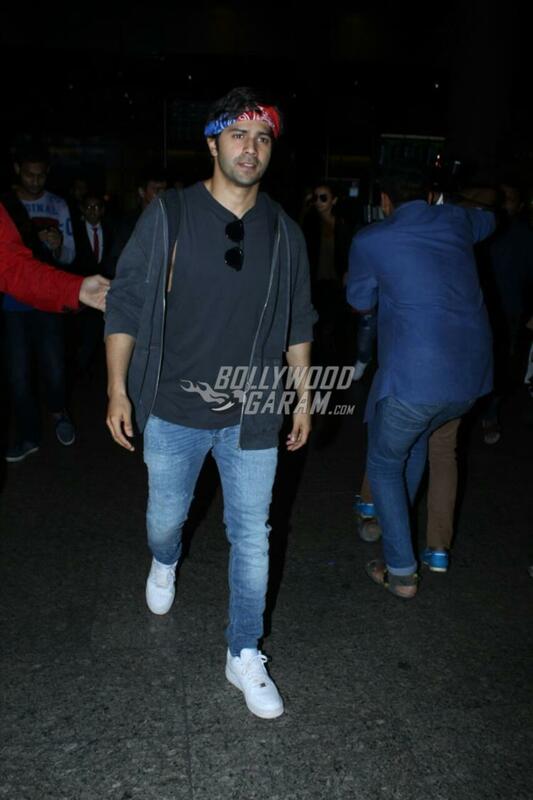 Home Actors Varun Dhawan, Alia Bhatt return from IIFA Awards 2017 – Photos! 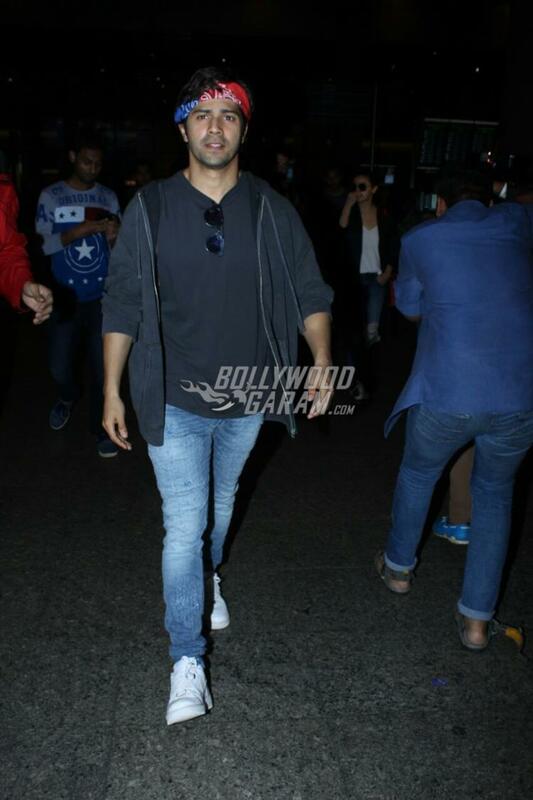 Varun Dhawan, Alia Bhatt return from IIFA Awards 2017 – Photos! Badrinath Ki Dulhania stars Varun Dhawan and Alia Bhatt surely contributed well at the IIFA 2017 held in New York City. The two were photographed returning at Mumbai airport on July 18, 2017. Alia has always remained stylish and appeared in a white top, ripped denims and a long jacket. Varun Dhawan never really needs to make much effort in terms of style and looks dapper in almost everything he puts on. 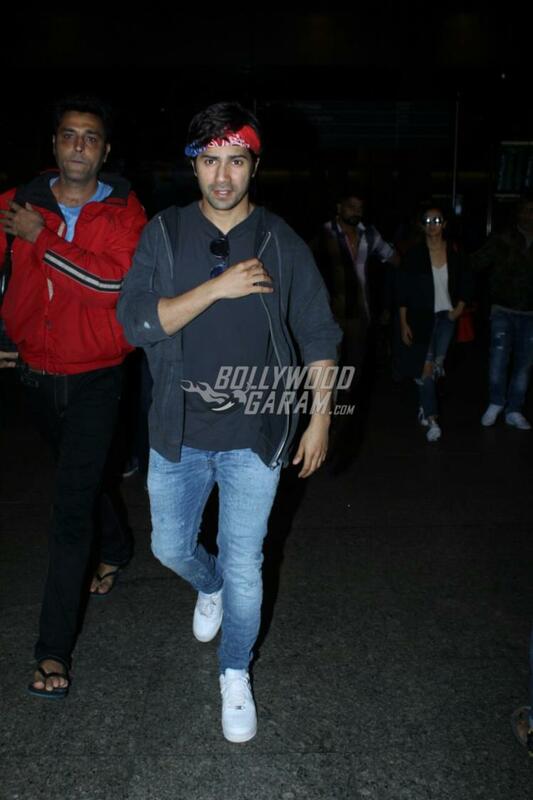 The Dishoom actor was seen in a sleeveless t-shirt, denims, a red and white bandana with white sneakers. The actors are currently working on different projects. Alia is filming for the film Raazi which is an espionage thriller. 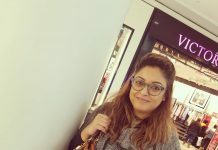 The actress is also due to begin work on the upcoming film by Imtiaz Ali which will also star Ranbir Kapoor. Varun is shooting for the film Judwaa 2 which is the sequel to the Salman Khan starrer Judwaa. After the success of Badrinath Ki Dulhania, the audience is surely waiting for another film starring Varun and Alia.